Glowsticks at the ready!! 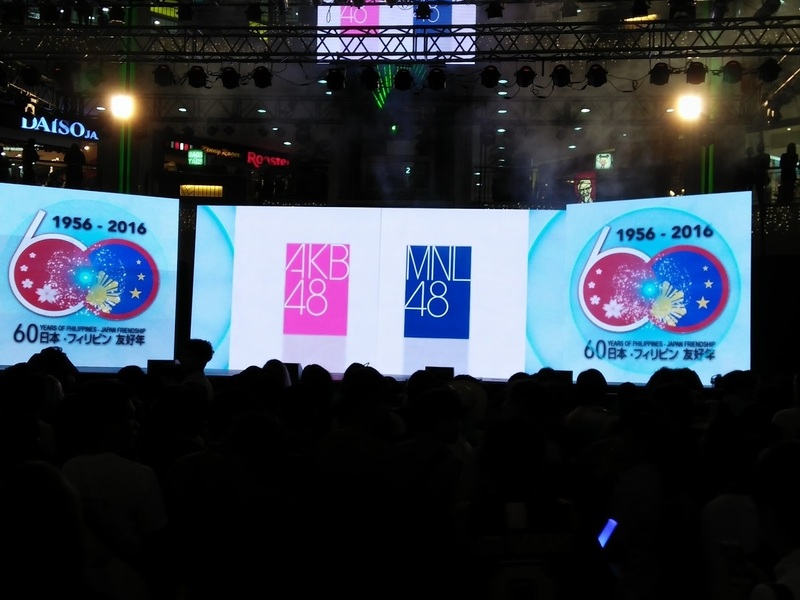 Fans got their hearts pumped and vocal chords shredded as they jumped, shout, and chant to Team 8 and Starmarie last December 3rd of 2016 in the 60 Years of Philippines-Japan Friendship Celebration. Like a great feast we got teased first with upcoming new anime from Hero TV, movies Your Lie in April live adaptation, and Your Name. Next is a performance by Movie Stars Cafe Love Live cosplayer that got the crowd warmed up for what is about to arrive. If that was enough they also played AKB48's latest single High Tension that drawn a high intensity fan chant from the very excited crowed and boy we have not yet started with the live performance from either group. At the the moment has arrived...The crowd on the edge of excitement Starmarie illuminated the stage with their high octane performances, The crowd going wild in each and every beat. After those intense number you would think "Yeah they're pretty tired now" but oh hell I was so wrong as Team 8 were introduced I started to feel something that seem was lost... "Aitakatta" which can mean "I've wanted to see you" I felt what the fans must have been feeling since the start of the show, Team 8 hits us with the old favorites and some of the new ones. I as well the fans were left with happiness, fulfillment, and joy in our hearts... all things, though if we could slow time down and cherish the moment... It will come to an end and as a stream of balloons and confetti fall down from the ceiling... the fans became united as one with only one word, a word that echoed through out the whole building, shook the grounds we are on everyone shouted "ENCORE" again and again never letting up and alas voices are heeded upon as Team 8 rushes back to the stage to perform one last time. Thanks to Magnum for the photos, rest of the photos will be uploaded in the JEFusion fan page so be sure to check it out, also here is the press con coverage of the JEFusion team.